Bake, roast, serve or store food with the Le Creuset Stoneware medium rectangular roasting dish. Oven, microwave, freezer and dishwasher safe the rectangular dish is versatile and practical thanks to the lifting handles which make it easy to transport from oven to table to freezer. 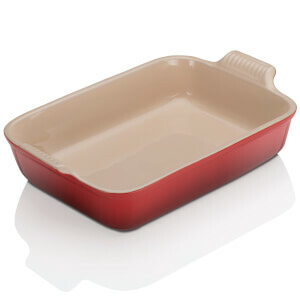 Crafted from high quality Le Creuset Stoneware, the dish is resistant to extreme changes in temperature whilst remaining scratch, chip and stain resistant. In addition, the tough crack-free glass is easy to clean and hygienic as it will not absorb food or flavours. 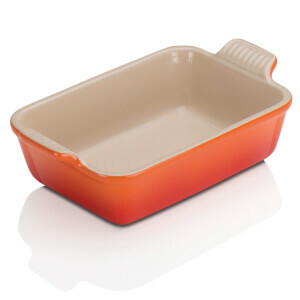 For more information on how to care for your Le Creuset product, click here.